BALTIMORE – (CT&P) – A team of distinguished physicians and Ph.D’s from Johns Hopkins who examined Sarah Palin during a recent trip to Baltimore has declared her legally dead. While at Hopkins, Palin was subjected to a wide variety of tests including functional MRI, PET, EEG, and CAT scans, as well as a whole battery of other tests on her body and brain. The leader of the team, Dr. Jay Baraban, a professor specializing in MicroRNA regulation of synaptic function, told CNN that the scientists found almost no electrical activity within Palin’s skull, indicating that Palin is basically a zombie. 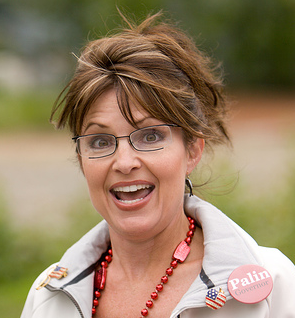 The team also found that Palin had little or no blood flow through her brain. The team’s findings are not legally binding, so no one should get their hopes up that Palin can be detained and placed in a facility where she can be studied for the freak of nature that she is. However, the proper authorities have been notified of her condition so she can be monitored until all her systems shut down or someone drives a spike through her head.